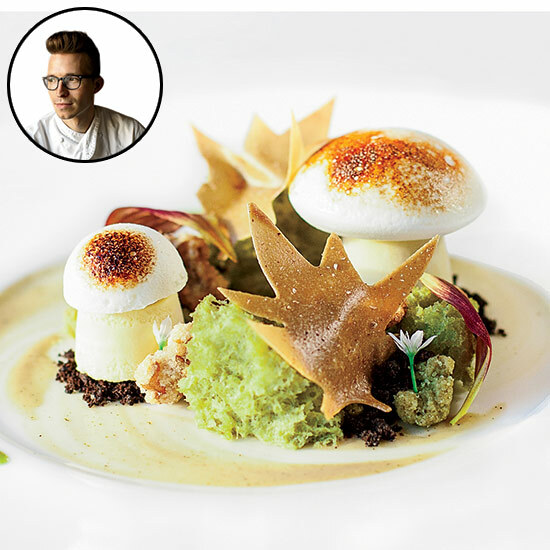 F&W editors ate desserts around the country to spot trends—and find these five outstanding pastry chefs. 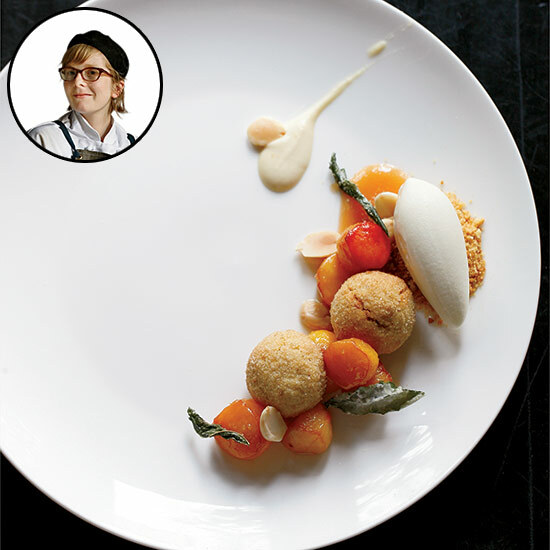 The daughter of a farmer, Kincaid is inspired by what she calls “the cadence of a growing season,” creating complex desserts that combine disparate flavors. “I ‘write’ and ‘rewrite’ every dessert each time I return to it,” she says." Bitter Almond Cream: The base for this sauce: house-made liqueur prepared with apricot pits steeped in brandy. Roasted Nectarines: Kincaid uses a tiny ring cutter to punch out the fruit. 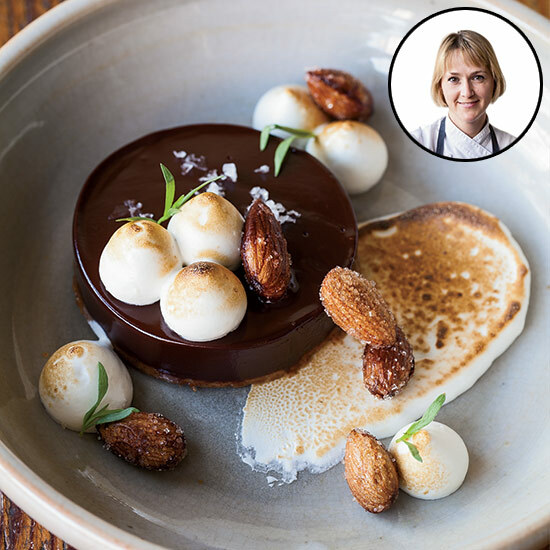 She is a genius at transforming familiar American desserts like s’mores, always adding a savory ingredient—fresh herbs, for instance—to balance out a bit of the sweetness. Chocolate Ganache: The ganache is poured over almond butter crunch on a big tray, then cut out with ring molds. 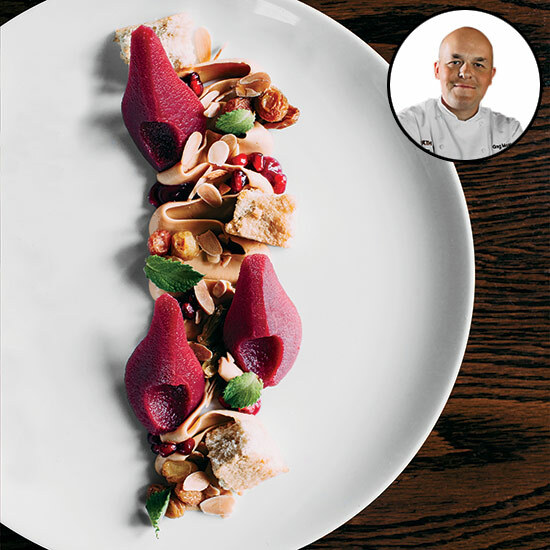 Mosko has a unique global perspective, combining elements like a Japanese custard with verjus-soaked raisins and coriander cake. Coriander Cake: Toasted coriander flavors meringue-based cake. 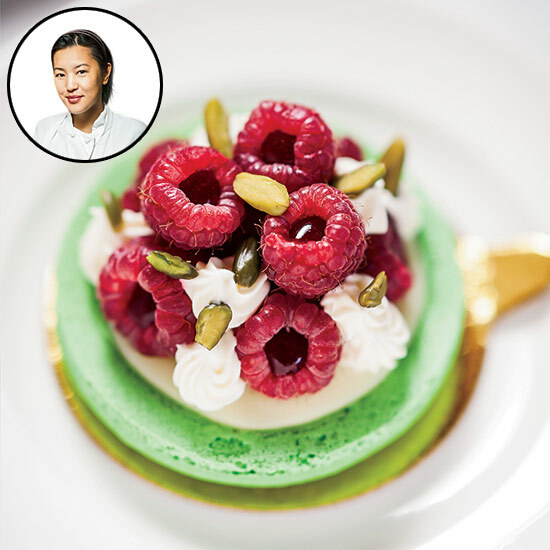 Yee’s plated desserts are homey and crowd-pleasing, as are her perfectly executed pastries. “I don’t crave foams and gelées,” she says. Amped-Up Raspberries: Yee fills them with her own raspberry jam. Pistachio Macaron: She makes the batter by folding Italian meringue with a paste of pistachio flour, sugar and egg whites. “I love being playful, nostalgic, even silly,” says Bacheller, creator of “Through the Forest.” His whimsy coexists with a serious fascination with science. “Mushrooms” : The stems are made with candy-cap-mushroom-infused cream; the top is a marshmallow. “Moss” Cake : Chestnut flour and green tea flavor this cake, which is blended in a Vita-Prep, then microwaved. “Maple Leaf” Tuile: The cookie batter gets blended in a Vita-Prep and dehydrated, rather than baked.